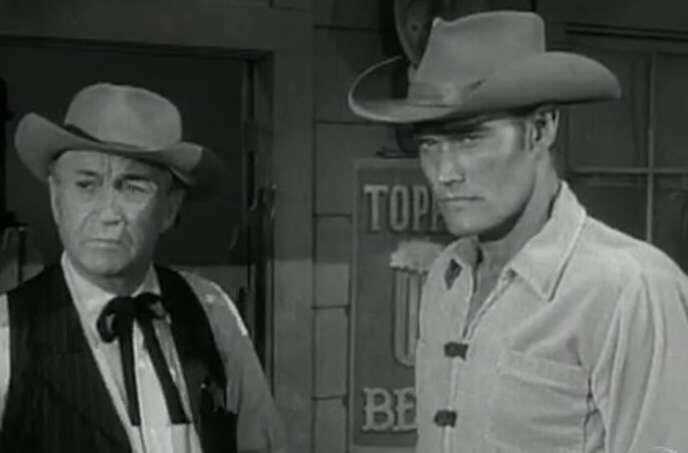 This epic western starring Chuck Connors and Johnny Crawford struck a chord with viewers in the late ‘50s and early ‘60s, mainly because of the chemistry between the two stars. The onscreen duo of a father and son wasn’t something commonly seen in this genre, which helped the show to make a name for itself. However, behind the scenes, not everything was as it seemed onscreen. 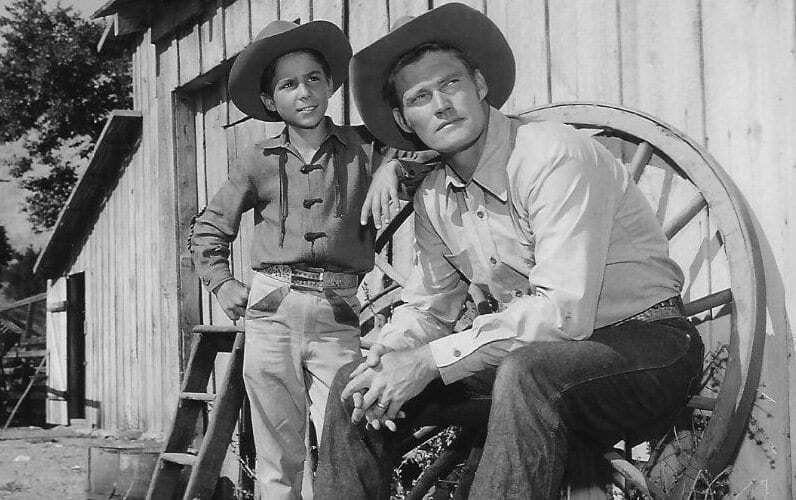 There are plenty of secrets about “The Rifleman” that we never knew about when it first aired on TV. Looking back now, it’s amazing to see how things nearly went very differently because of the happenings off camera. Might the show have gone on longer if someone hadn’t stood in its way? When a show becomes popular, it’s hard to imagine it without its main cast. They’re part of what makes the series as great as it is. However, “The Rifleman” almost looked very different when it first went into production. 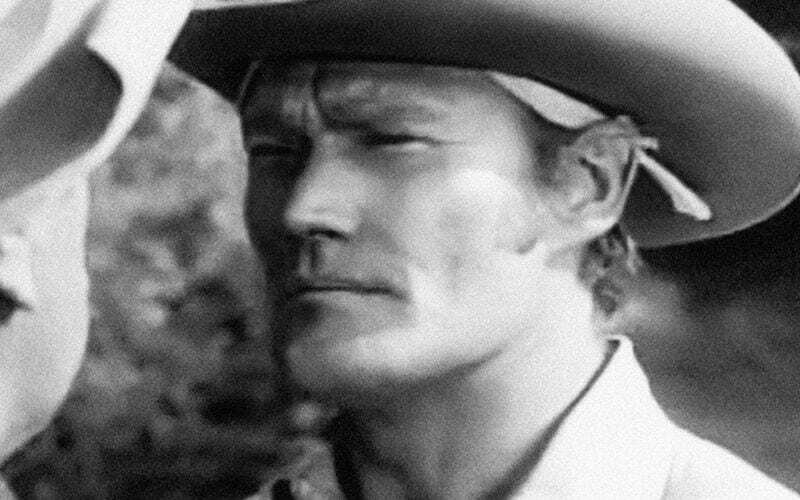 When Chuck Connors was approached to play Lucas McCain, the lead character, he wasn’t impressed by the salary. He ultimately declined the offer and left producers struggling to find someone else to fill the role. Although they considered actors like John Anderson, they couldn’t get Connors off their mind. After looking into some of his past credits and seeing his ability to work with kids, they decided the extra money he wanted was worth it. The lack of Connors wasn’t the only thing that almost changed the show. When the script was originally written, it started out life as a pilot for another western series, “Gunsmoke.” Sam Peckinpah’s ideas for the show were rejected by the network, which left him having to rethink his approach. He made a couple of tweaks to the script, including the alteration of the lead character’s name from John to Lucas, and tried again. The network obviously approved of Peckinpah’s vision for the show. Otherwise, they never would have commissioned “The Rifleman.” However, while they may have given the script the go-ahead, it wasn’t smooth sailing for Peckinpah and the network. 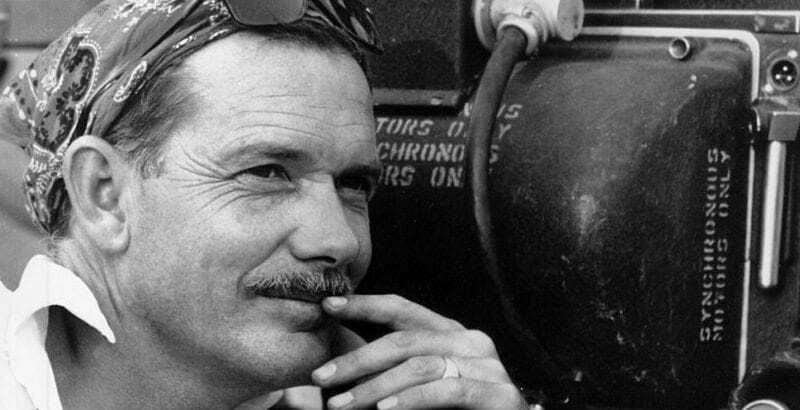 Peckinpah only stuck around as a director for the show’s first season before leaving. The whole time he was there, he struggled to see eye to eye with the producers who had their own vision for the show. Peckinpah was determined for the series to be gritty with realistic violence and elaborate characters. He didn’t want the lessons that Mark McCain learned from his father to be sugar-coated. 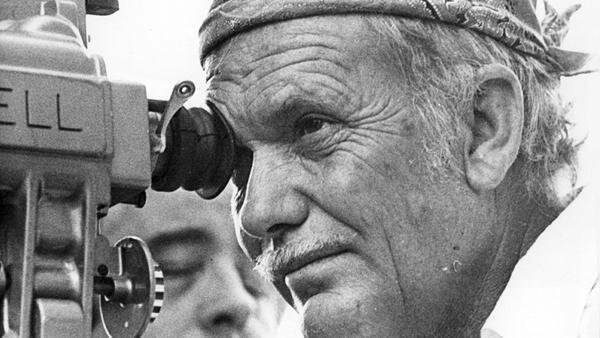 With much of the early scripts based on his childhood, Peckinpah felt he knew best, but producers seemed to believe otherwise. Although producers struggled to see Peckinpah’s vision, that didn’t stop the network from utilizing some of his significant plot points. One of these was Lucas McCain’s standing as a widower, something that was new to TV. 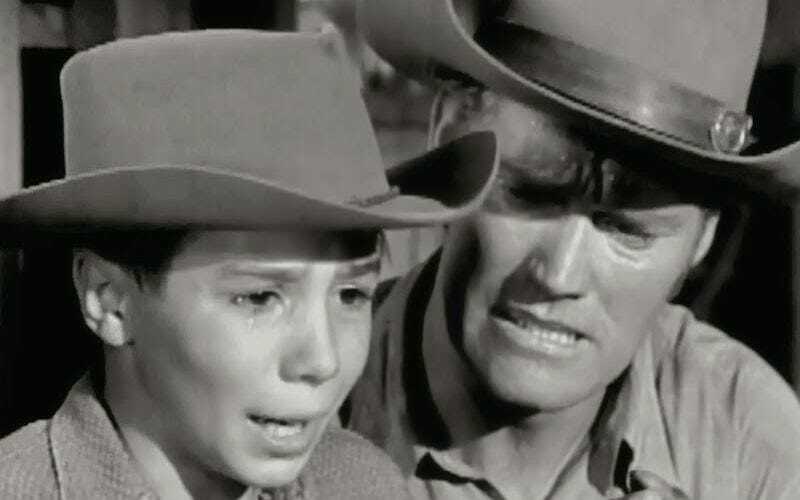 McCain was the first character to raise a child as a widowed parent, and because of this, “The Rifleman” stood out from the crowd. The series now has its place in history thanks to this, something that only happened because Peckinpah’s first script was rejected. Talk about proof that you should never give up. That wasn’t all that “The Rifleman” was remarkable for. 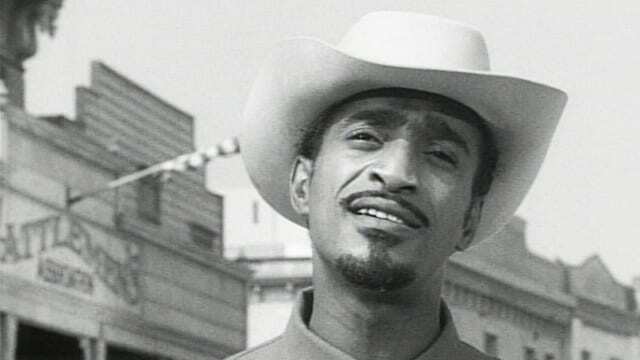 Another first for the show happened when Sammy Davis Jr. was cast to appear in two episodes, starting with “Two Ounces of Tin” in 1962. The entertainer’s appearance was notable because it marked the first time that a black actor appeared on TV in an episode unrelated to race. His character wasn’t there to influence a storyline about the color of people’s skin; he was just another person like everyone else. 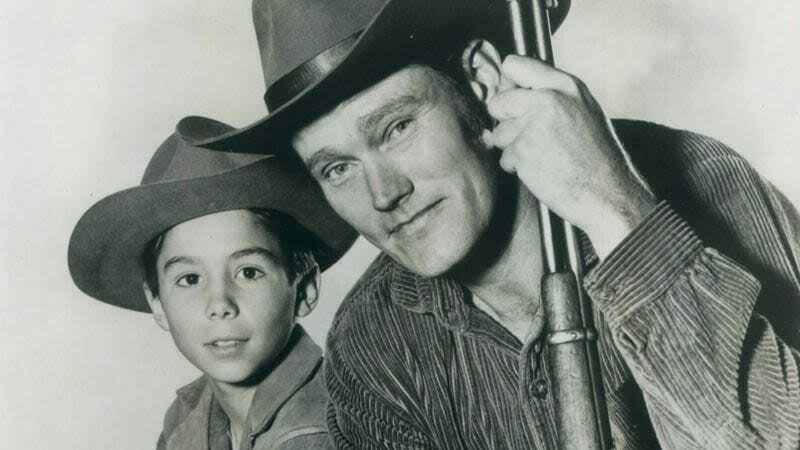 You can’t deny “The Rifleman” was a progressive show. Sammy Davis Jr. was just one of the hundreds of people who appeared on the show during its five-year run. Ultimately, more than 500 actors made guest features on the series, which is an average of 100 per season. 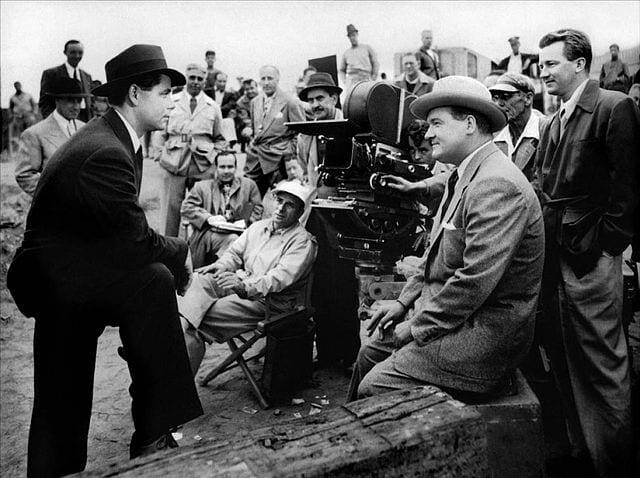 Some of the most prominent stars to appear included Buddy Hackett, Warren Oates and Duke Snider. 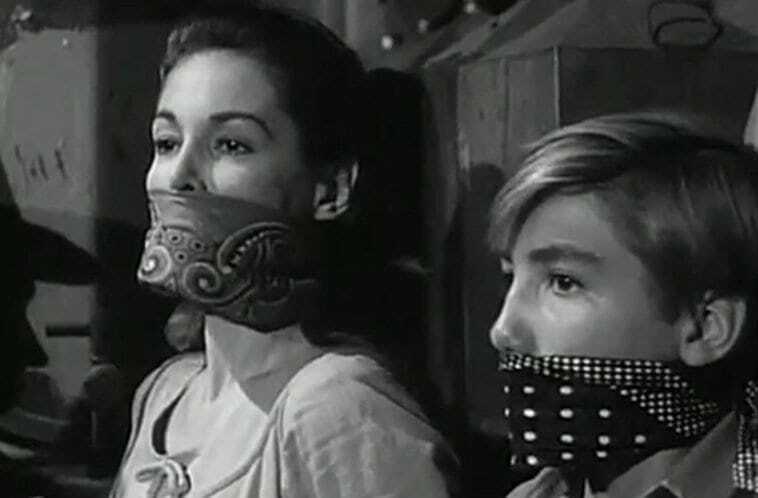 Many of the women who starred as Lucas McCain’s love interests were also pretty big names at the time, such as Julie Adams and Sherry Jackson. Everyone wanted to be a part of the success. 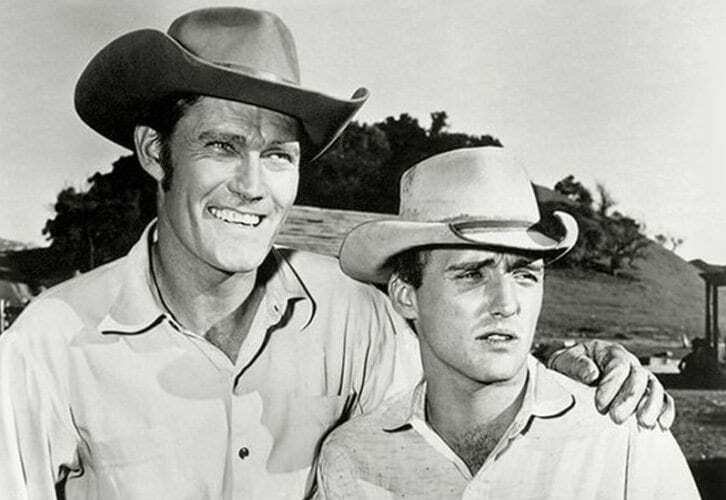 Some actors wanted to be included in “The Rifleman” so badly that they ended up featuring on the series in more than one role. Sammy Davis Jr. was one of those actors, as was Paul Fix and Dennis Hopper. This isn’t uncommon in TV, especially in shows from that period. Sometimes stars have such a minor role that people forget they were in the series already when they return as a new character. We were never complaining when these guys came back – the more, the merrier. One person who made many regular appearances was Archie Butler, one of the show’s leading stuntmen. The main cast aside, he featured in more episodes than any other actor, primarily because he was willing to do what no-one else could. He was used for all of the horse stunts, even if he looked nothing like the character, thanks to his background in the rodeo. You can imagine how much work he got out of the show, given the western setting involved a lot of horses. When a series does things right, you’ll accept most of what it tells you to. You might have believed that the show was filmed in New Mexico where it was supposed to be set, but the reality was much different. 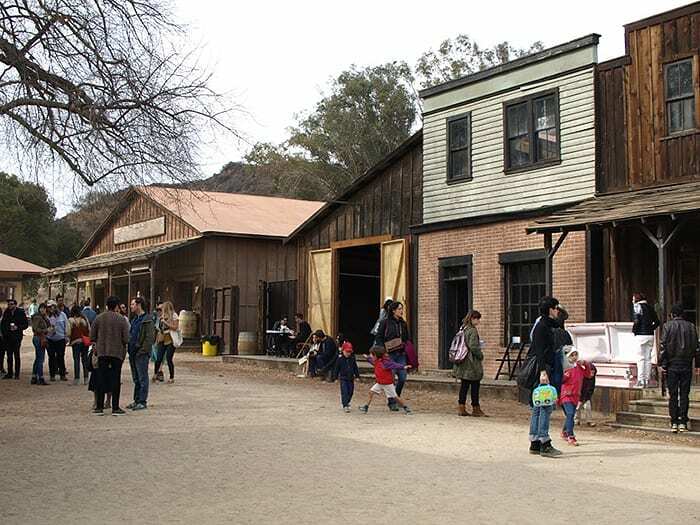 Production was actually spread across California, with Calabasas, Malibu Creek State Park and the Paramount Ranch all used as locations for filming. None of the scenes were actually shot in New Mexico, but the crew was able to create enough of an illusion on camera that it was never noticeable. The crew on “The Rifleman” were renowned for their ability to use effects to their advantage, in particular director Joseph H. Lewis. Already well-known for his work on film noir “Gun Crazy,” Lewis used the series as an opportunity to continue showing off his artistic style to the world. In particular, he’d use a lot of the lighting techniques that had been effective in his noir work on the show. This created a lot of the shadow effects and diverse camera angles that made “The Rifleman” so unique. Viewers clearly didn’t have a problem with the way that Lewis directed the series, because it regularly performed well in the ratings. The show was so beloved that even Russia allowed it to air in their country. This was a considerable achievement given how strict their guidelines were regarding American programmes airing on TV. 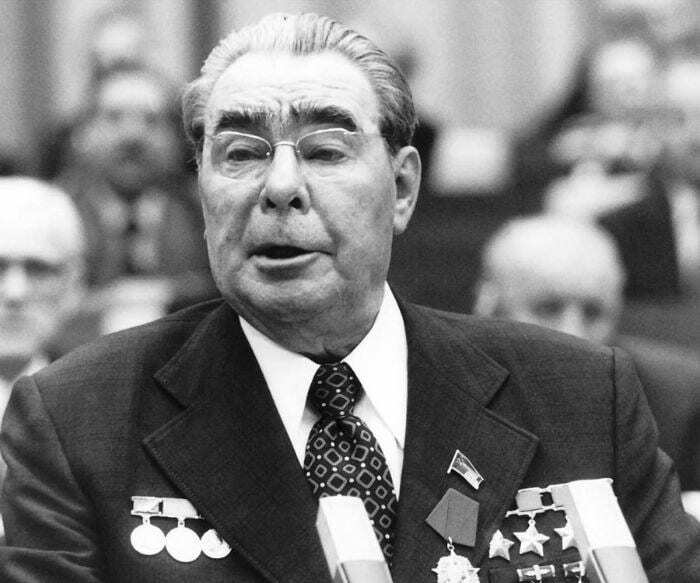 “The Rifleman” was one of the only shows of its time to make it to Russia, with Leonid Brezhnev apparently a huge fan. It’s good to have friends in high places. Although the show may have been loved all over, that didn’t stop it from suffering a ratings slump. It was in the third season that viewership noticeably dropped, forcing producers to try and rectify whatever had caused the sudden loss of interest. They ultimately decided that it was Joan Taylor’s character Miss Milly that was causing the issue and so the character wasn’t brought back in the show’s fourth season. Obviously, it worked, because the series’ Nielsen rating improved for this season, albeit marginally. 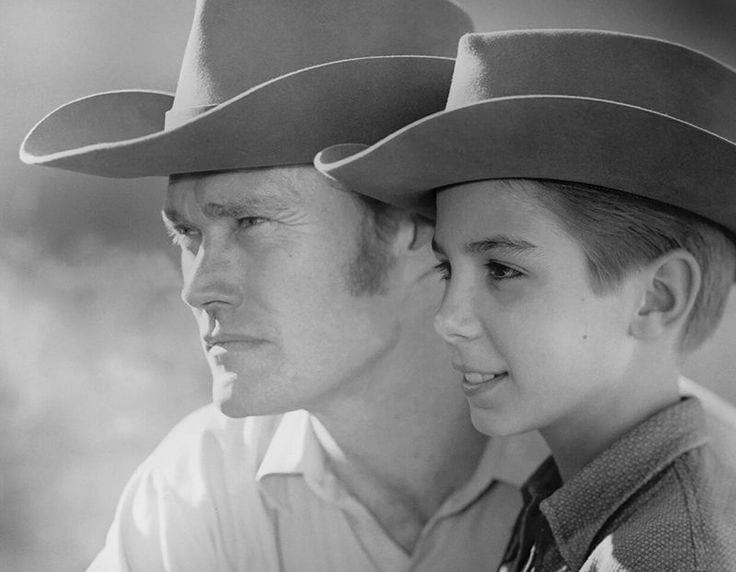 “The Rifleman” was progressive in many ways, from its portrayal of race to its views on single parenting. Another way in which it differed from other shows of the time was its depiction of smoking, or rather lack of it. Throughout the entire five year run, Lucas McCain was only seen with a cigarette once, even though it was common for people to smoke on TV. The show would have fit right in nowadays what with all the regulations concerning the advertisement of cigarettes on TV. Lucas McCain was nothing without his young son, Mark. 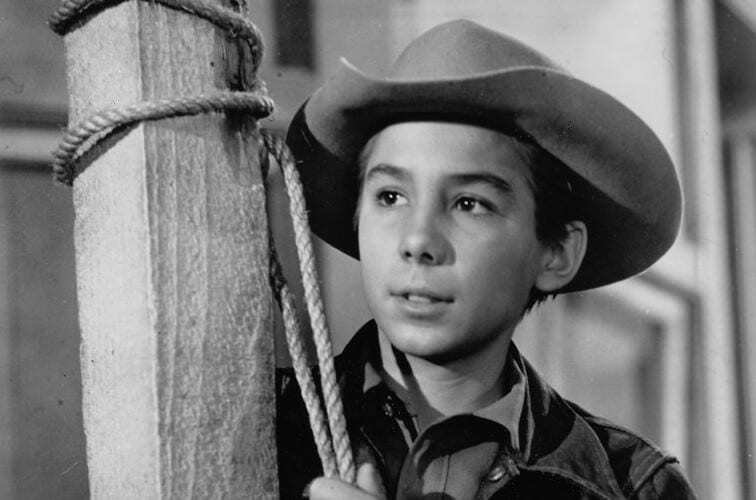 Played by Johnny Crawford, who was only 12 when the show started airing, the child captivated viewers and critics alike. 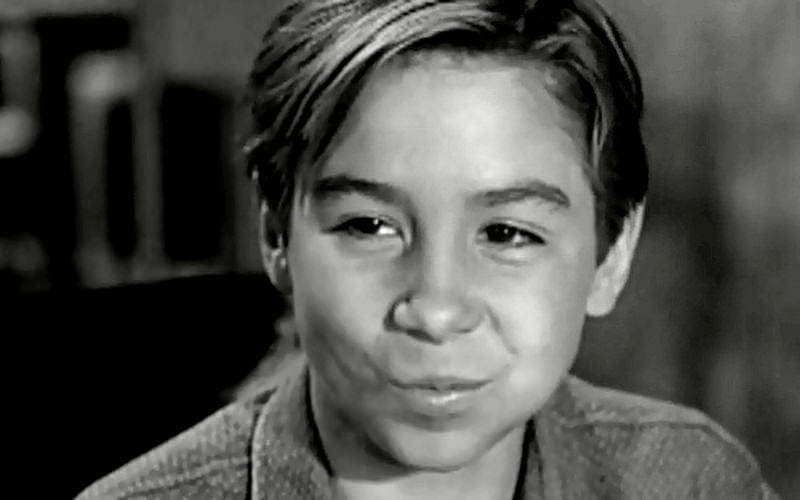 He proved to be so popular that Crawford was nominated for an Emmy Award when he was just 13, although the fame didn’t go to his head. After the series concluded, Connors commented on how much of a gentleman the young boy was. Apparently, he always showed great respect to the cast and crew from day one right to the end. For two seasons, viewers watched the exploits of Lucas and his son Mark with no mention made of the boy’s mother. 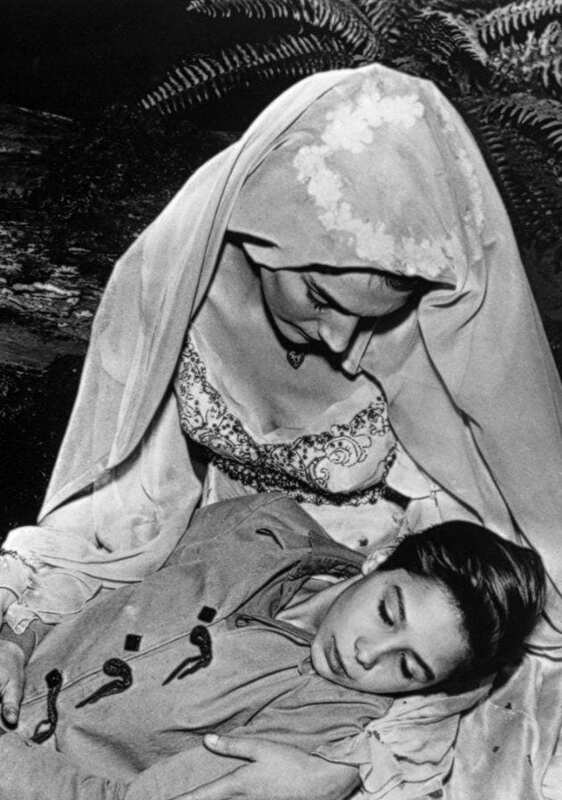 Putting an end to speculation, producers finally had actress Marian Seldes portray Margaret McCain in a vision a deathly ill Mark has, with her appearance giving the boy the will to live. It was to be the only appearance on the show for the character, who is revealed to have died of smallpox, but the actress actually appeared in another role in the same episode. Considering how much time the father and son duo spent on screen, it’s unsurprising how often Crawford and Connors saw each other. However, things weren’t always as they seemed on TV. When the cameras weren’t rolling, Connors enjoyed being a practical joker, and he had a habit of not censoring himself around the young star. Crawford said that although he “had great respect for him,” the icon wasn’t a particularly good influence on him outside of acting. Not that he minded too much. Connors was great fun to be around. 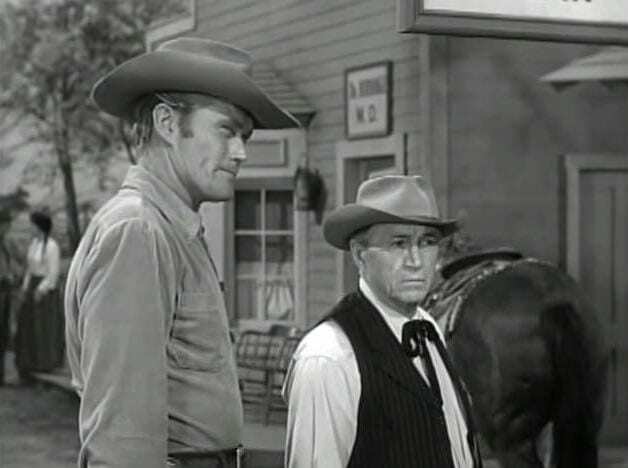 His time on “The Rifleman” helped Crawford to form a successful career in many different areas, including in the music industry. However, it was while serving in the United States Army that his time on the series proved to be most useful. Throughout the two years he spent on duty, the actor helped to create training videos for the army. He’d picked up some valuable tidbits after all those years appearing on film sets which he was finally able to put to good use. As the name of the show suggests, McClain’s gun is one of the most important aspects of the series. However, while it appeared in every episode, there was something about it that wasn’t quite right. Although the series was set around the 1870s and ‘80s, the gun hadn’t been manufactured until after then. It was a Winchester 1892 rifle, meaning it was a little more advanced than what the character would have had in that time period. However, there was something rather special about this weapon that merited its inclusion. 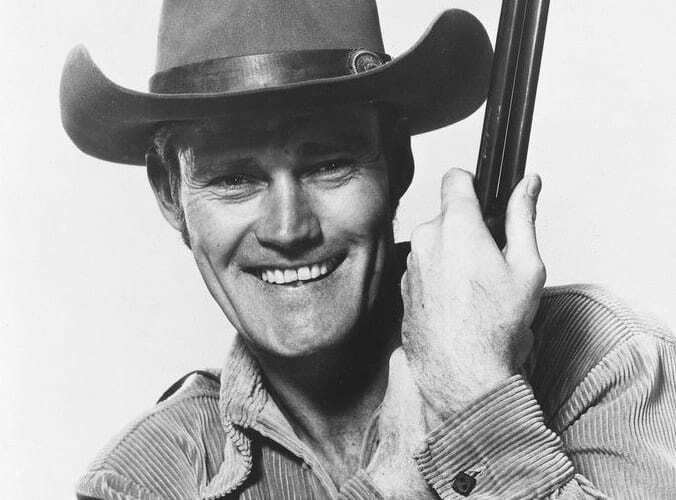 A producer on “The Rifleman” revealed that the gun Chuck Connors used on the set had once been in the possession of another famous face. 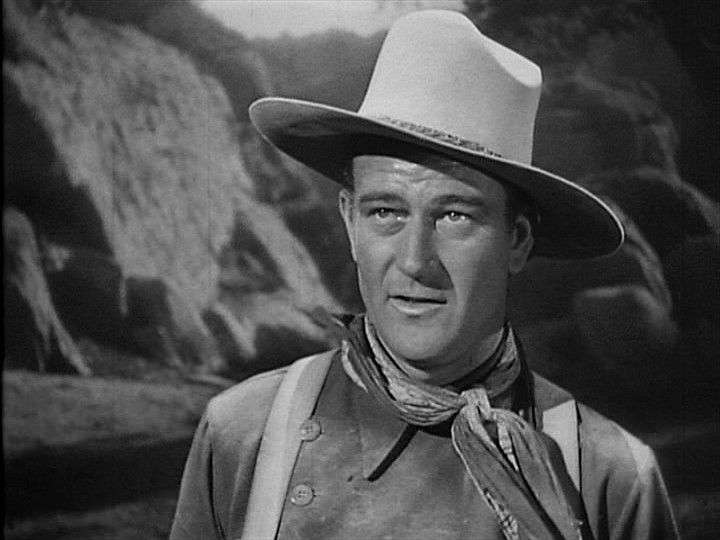 The man in question was none other than John Wayne, the actor famous for western films like True Grit. He’d previously used the weapon on the 1939 film Stagecoach back in the early years of his career. Connor was honored to use the same gun as the great actor, although it had to be slightly modified to fit his character. Lucas McClain pretty much went everywhere with his gun, so it’s no surprise that he was so skilled at using it. He was such a great shot that the actor was able to casually change it between hands and still fire at an almost perfect rate. No-one on or off the show commented on Connor’s ability to use the weapon so successfully, but his talents were right there for everyone to see and admire. Clearly, this was a man whose skills knew no bounds. When a show gets canceled, it’s usually because of bad ratings. While other factors occasionally come into play, such as the behavior of the actors behind the scenes, a show can’t afford to stay on the air when it can’t maintain a viewership. 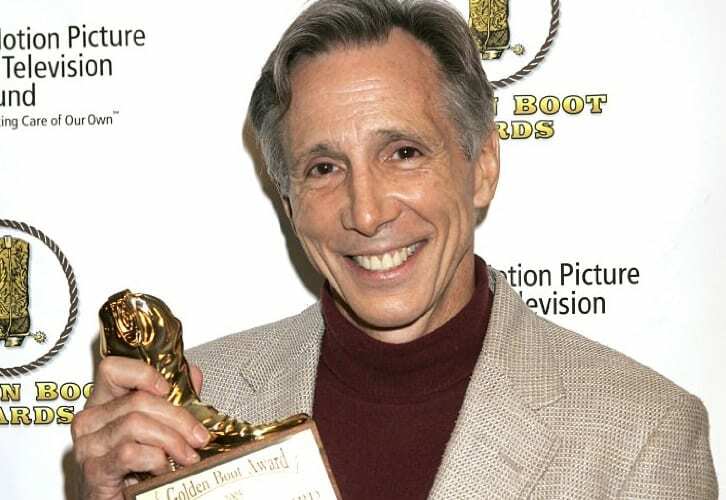 However, the final nail in the coffin for “The Rifleman” wasn’t the ratings, but Johnny Crawford. The actor was growing up fast, so he could no longer effectively play a child. He was also ready to leave the show behind in search of something new and challenging.